Jose Antonio Batista de Moura Ziebarth is a specialist in the area of international and comparative competition law. His primary research interests include competition law and policy, economic regulation, anticorruption laws, and technology and innovation topics. Jose has had diverse experiences in public administration, academia, private legal practice, and the international arena. Jose has held senior positions at the Brazilian Competition Authority (CADE) and represented the agency at global competition events including the OECD competition meetings. He led a major educational, advocacy initiative, building a partnership with the World Bank and the Brazilian Ministry of Foreign Affairs to provide scholarships for students, and extended the program to include high-level public officers from 14 countries. Jose was a participant in developing legislative strategies and conducting discussions and audiences with legislators and business leaders, seeking the approval of a new Competition Act in Brazil. After eight years of congressional debate, the statute was enacted in 2011. In the Brazilian federal government, Jose also served at the Federal Management Council of the Public Interest Rights Fund, contributing to manage resources raised from federal regulatory fines and class actions and reapportion them to projects focused on environmental protection, consumer rights, education, historical and cultural preservation. 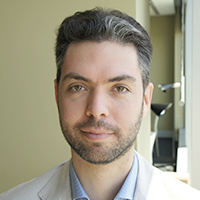 Jose has participated in a wide variety of global research initiatives, including within Columbia University, Yale University, and the American Antitrust Institute, a non-profit think tank for promoting competition based in Washington DC, United States. He has delivered lectures and graduate courses on a wide range of competition laws, public policy, and regulatory matters at various institutions, including at Getulio Vargas Foundation in Rio de Janeiro and Catholic University of Rio Grande do Sul. Jose is a published author of academic articles, technical reports, training materials on competition laws, public policy and regulatory topics. He was a graduate editor of the New York University Journal of Law and Business and of the New York University Journal of International Law and Politics, and an associate editor of the Brazilian Competition Law Journal. Jose has been working as an education and civil rights advocate on a number of different initiatives. In 2016-17 Jose is integrally involved in building the Law School’s first fully online masters program – in global competition and consumer law.